The 1938 Delage D6-70 Tourer, in striking red-and-black paintwork, that was purchased by Margaret Lockwood direct from the Delage stand at the 1938 Motor Show. What a beauty! The classic open-top car, as much as the star. Just imagine that you’re a 1940s film star, cruising along a country road, wind in your hair, on your way back from a day’s filming at Nettlefold Studios. 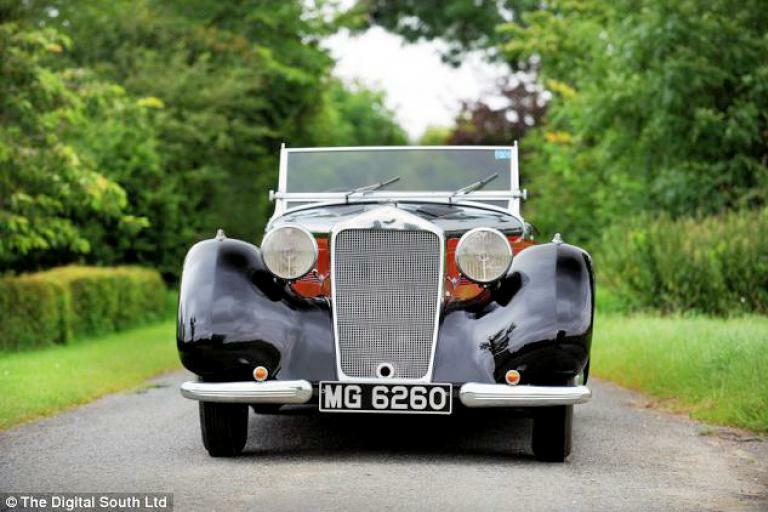 Well, for a guide price of £50,000 at Bonhams car sale at Beaulieu, Hampshire, now you can. Here’s how the Daily Mail reported the auction of the car.